This week was another good one. I ended up getting a part time job at an Australian healthy burger chain. It is actually healthy, I swear. 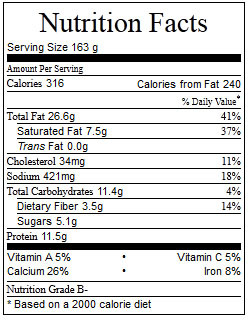 The calorie count for each burger and all nutritional values are available on the website, and yes, while some have high calorie counts, the burgers are packed with veggies and proper, good quality meat. I have never been disappointed eating there yet. Any other Australians can back me up on this. I did try to make wholemeal bread, but I couldn't knead it, got frustrated and gave up. It was a bit of a disaster. However, my scone making has improved - the first try resulted in tasteless, shapeless bits of barely cooked dough. The second try resulted in yummy scones, although over-kneaded and flat. Today's recipe turned out wonderful looking and tasting scones. It's a start. 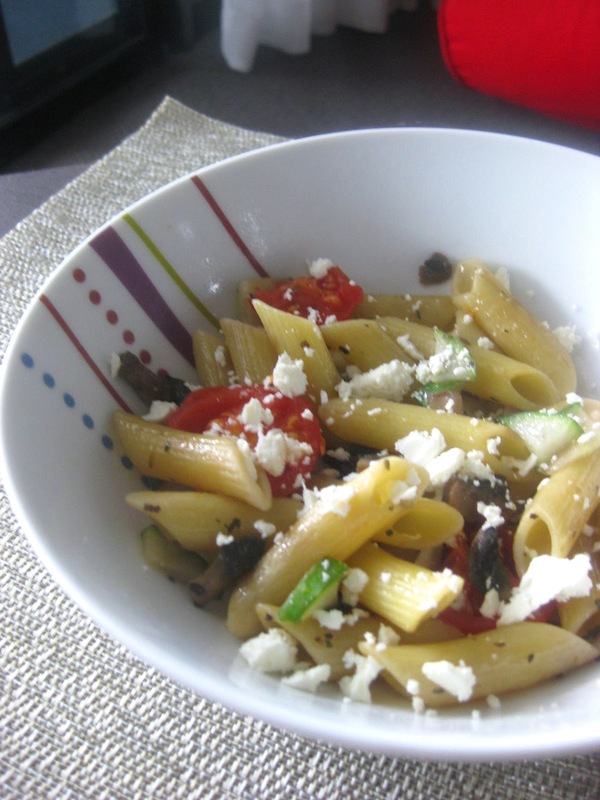 So, about this Greek Pasta Salad. It is really yummy, and really quite healthy. I did change the original recipe quite a bit, as I don't have any white wine, nor do I eat olives, so I substituted for mushrooms. I also don't really do oily pasta, so I changed the oil amounts to suit my taste. 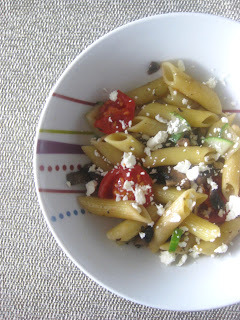 However, the pasta is delicious, the dressing is lovely and while not so much Greek as Mediterranean, still one of the best and easiest pasta dishes I have ever made. Menu Options: I would serve it for dinner, but reheated the next day and in a smaller portion, it also works for lunch. - ½ - 1 cup chopped mushrooms – does not need to be chopped thin – I chose a mix of portabella mushrooms and shitake mushrooms. Cook the pasta as directed on the package. Peel the garlic cloves and cook with the pasta in salted, boiling water. Do not cook the pasta as much as you would usually, ensure the pasta is still a little firm. The garlic cloves should be a soft when removed from the water. Meanwhile, with a little bit of oil (your choice, I prefer sesame oil for its nutty flavour) toast the almonds in a skillet until fragrant and slightly darkened. Cook the mushrooms with the nuts (same skillet, same amount of time) – if you wish, flavour the mushrooms with dried herbs (I prefer rosemary and oregano). Cut the cherry tomatoes in half. Once the nuts have been toasted and the mushrooms are soft, remove from pan. Use leftover oil to lightly cook the tomatoes. They should be soft and slightly browned when removed from the pan. Cut the cucumber – I prefer dicing it, but if you simply want to slice it, that is also fine. Drain the water from the pasta and remove the garlic cloves. Add the cucumbers, tomato, basil, nuts and mushrooms to the pasta. Mash the garlic cloves in a bowl. They should form a thick paste. Add in olive oil, sugar, and salt and pepper to taste. If you want to add more oil feel free to do so, but I find this is oily enough. Add dressing to pasta and toss to combine. 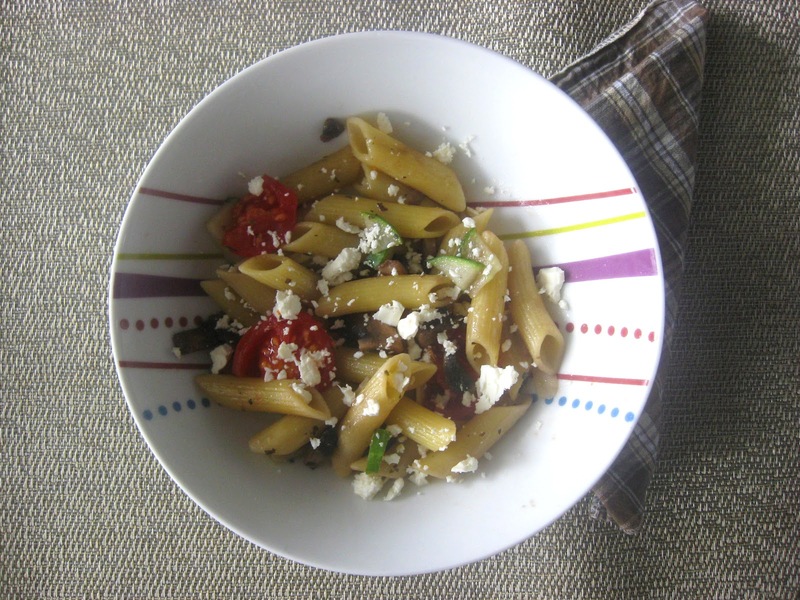 Crumble feta over the top of the pasta and serve warm. I hope you all have a fantastic weekend - if you are looking for a quick, easy, delicious and homely meal for Sunday night - try the pasta. Coming soon - an Apple and Goats Cheese tart - because I am seriously obsessed with the Hunger Games.